This meat pie recipe is a good way to use leftover roast beef, beef brisket, beef stew meat, pot roast or taco meat. Don't have leftovers? 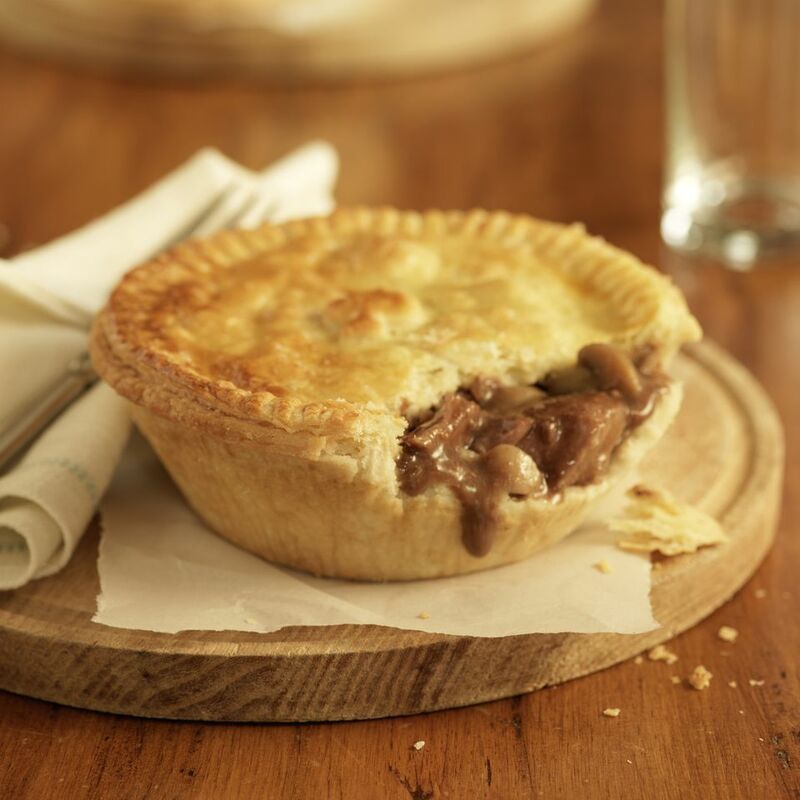 You can make this pie with pre-cooked refrigerated beef tips or frozen beef or pork. Take pie crust out of the refrigerator to thaw while preparing the filling. Preheat the oven to 350 F.
Heat the oil in a large, nonstick skillet over medium heat. Add onions. Cook 3 to 4 minutes until softened. Add frozen hash browns. Cook, stirring frequently, 5 to 6 minutes until soft, but not browned. Add frozen peas and carrots, Worcestershire sauce, ketchup and beef. Cook 2 to 3 minutes until vegetables are thawed. Season with salt and pepper to taste. Unroll the pie crust onto a baking sheet. Pile the filling onto the pie crust, leaving a 1-inch border all the way around. Flatten filling with a spatula. The meat filling will be about 1-1/2 inches high. Fold the pie crust border over the meat pie filling, crimping, if desired. The meat pie will look like a rustic tart. Bake 30 to 40 minutes until pie crust starts to brown. Top the pie with cheese. Bake another 5 minutes until cheese melts and crust is golden.